He may be miniature but don't mess with Marvel's mighty hero, Ant-Man! A founding member of the Avengers, Ant-Man is armed with the astonishing ability to shrink in scale to microscopic sizes, but increase in strength. Ant-Man (aka Hank Pym, Scott Lang, Eric O'Grady) has appeared as many characters over the years and most recently re-emerged in a 2015 movie, saving the world against seemingly insurmountable obstacles. 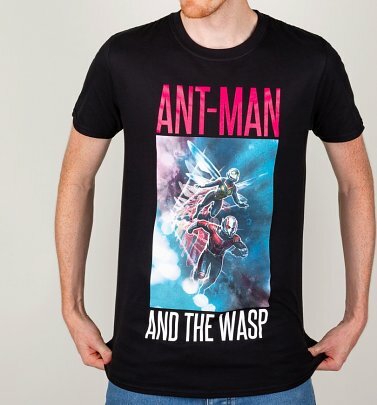 Snap up our official Ant-Man T-Shirts to channel the mini-but-monumental hero and celebrate the latest mega movie installment, Ant-Man and the Wasp. Great things come in small packages!